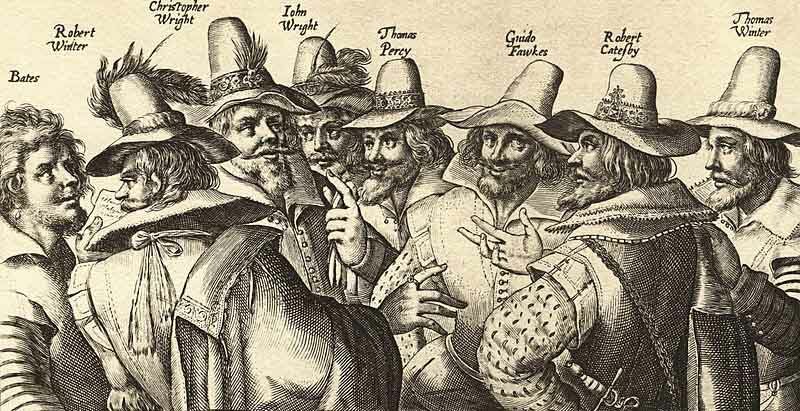 In earlier centuries, the Gunpowder Plot of 1605 was often called the Gunpowder Treason or the Jesuit Treason (treason being a crime involving disloyalty to the Crown in any way, including plotting against the sovereign’s life). It was a failed plot by thirteen Catholics to assassinate James I by blowing up the Houses of Parliament. So what was the reason for the plot? When Queen Elizabeth I died in 1603, English Catholics who had been persecuted under her rule had hoped that their future would be greatly improved, and her successor, James I, would be more tolerant of their religion. James had had a Catholic mother (Mary Queen of Scots) and had a Catholic wife. At first, the signs were promising and reforms were made. 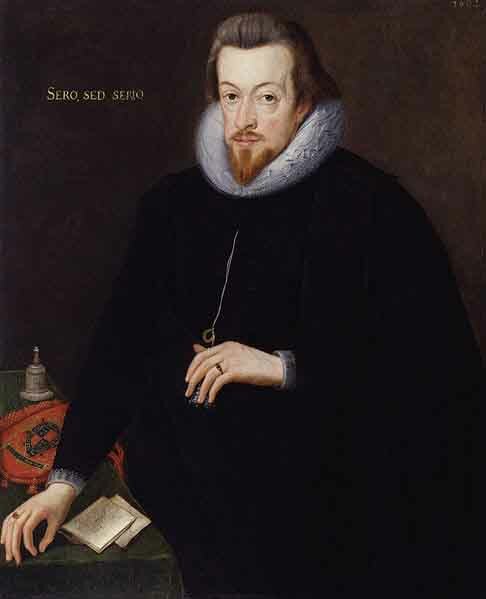 But by 1605, under pressure from his spymaster, Sir Robert Cecil, and in an effort to appease the more extreme Protestants such as the Puritans, James once again incresed the penalties on anyone practising the Catholic faith. He ordered all Catholic priests to leave England. Once James was dead, they intended to put his daughter, Elizabeth, on the throne, thus returning England to the Catholic faith. Princess Elizabeth of Bohemia, daughter of James 1. 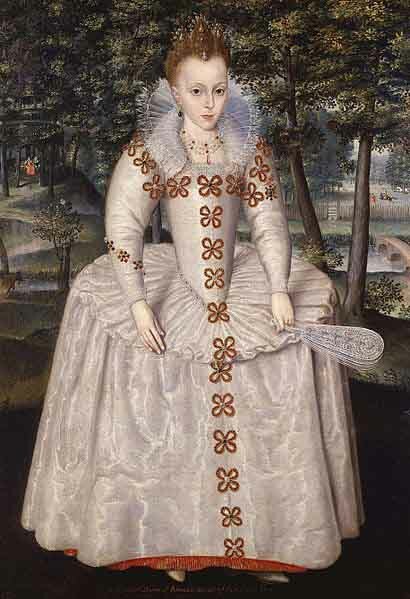 Artist: Robert Peake the Elder (1551-1619). Photographer: Weiss Gallery. National Portrait Gallery, London. Wikimedia Commons. Public Domain. 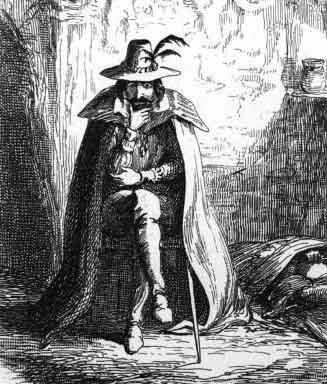 It was Guy Fawkes (who had adopted the name of Guido while fighting for the Spanish) who posed as a servant called John Johnson and began locating sources of gunpowder. The plotters rented a cellar/undercroft beneath the House of Lords (a chamber inside the Houses of Parlaiment shown on the first image above) and began stocking it with enough explosives to kill the king and the most powerful men in the land when they met on November 5th. Eventually they managed to store 36 barrels of gunpowder, enough to reduce the House of Lords to rubble. The cellar underneath the House of Lords, as drawn by William Capon, 1799. Public Domain. Wikimedia Commons. As the day planned for the strike neared, it became clear to some of the plotters that innocent people would be killed in the attack, including people who had fought for the rights of Catholics. 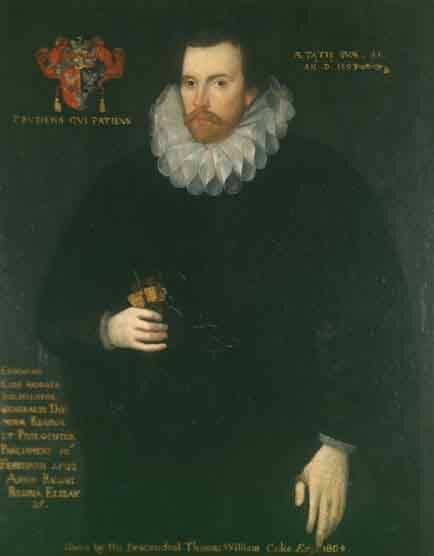 Lord Monteagle, the brother of Francis Tresham, one of the plotters, received an annonymous letter (almost certainly from Tresham) warning him to avoid attending the opening of Parliament on November 5th. Monteagle passed the letter to Robert Cecil. Cecil decided not to act immediately: he wanted to catch the plotters in action. On November 4th he ordered searches of the whole of the Houses of Parliament and Fawkes was arrested. He was dressed ready for a swift get-away, with spurs on his boots. 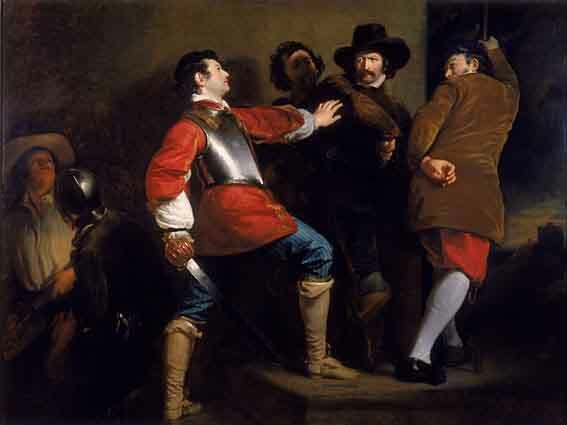 Painting of the discovery of the Gunpowder Plot and the taking of Guy Fawkes by Sir Thomas Knevet. 1823. Most of the conspirators fled as they learned of the plot’s discovery. 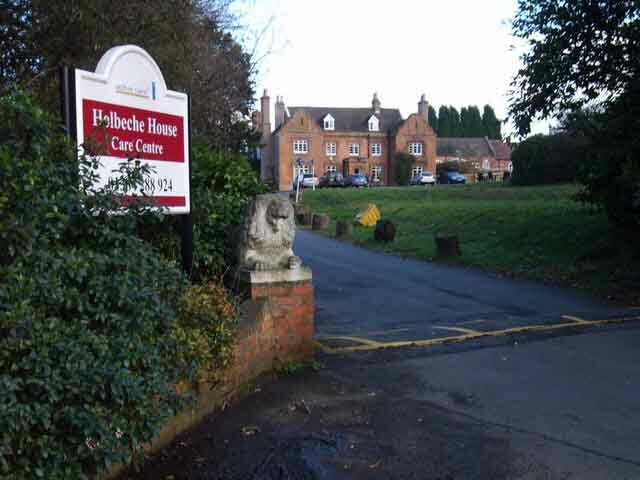 Several made a stand against the pursuing Sheriff of Worcester and his men at Holbeche House, Catesby’s home. Catesby was one of the plotters shot and killed, leaving eight of the survivors, including Guido Fawkes, to stand trial. 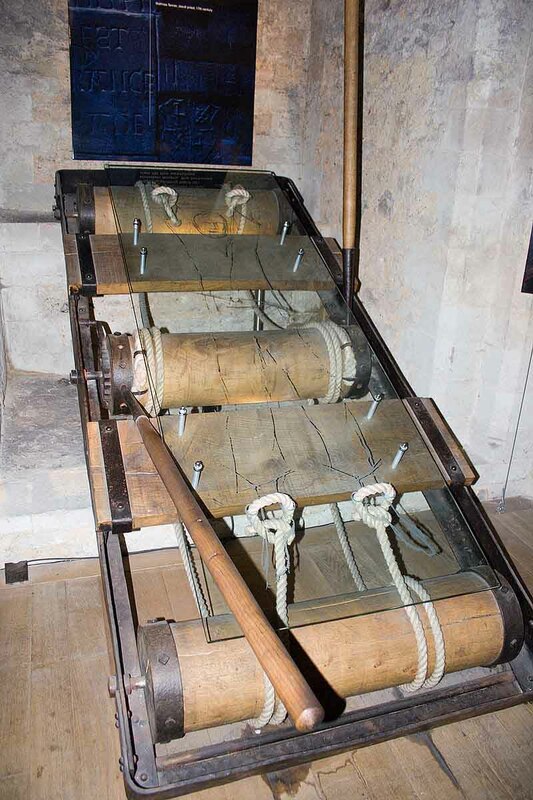 Fawkes suffered two days of severe torture on the rack in the Tower of London before confessing everything. 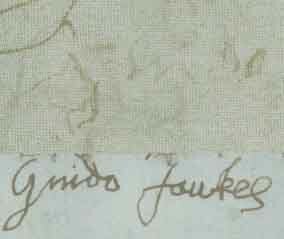 The confession Fawkes signed shows how much his joints, including those in his hands, had been so severely damaged. 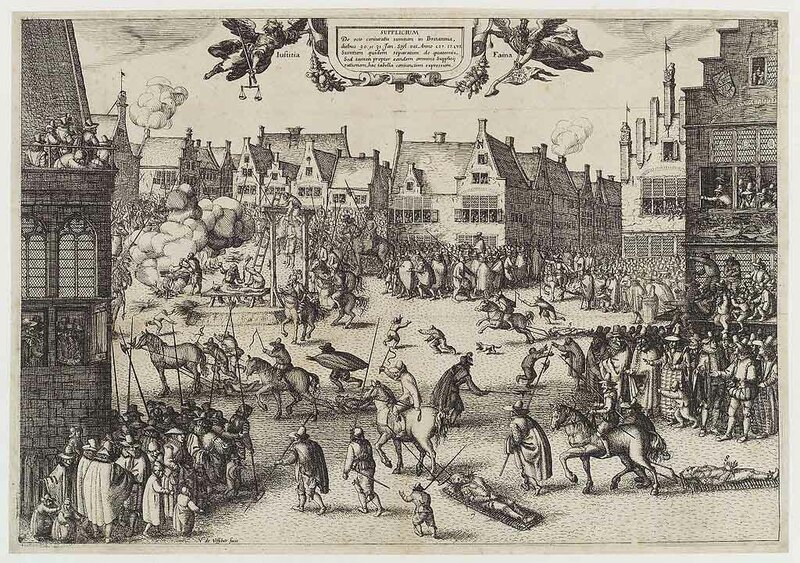 At their trial on January 27th 1606, the eight surviving conspirators, including Fawkes, were convicted of high treason and condemned to be hanged, drawn and quartered. The punishment consisted of the the victim being dragged, usually by a horse, on a wooden frame to the place where he was to be publicly put to death. This involved a gruesome procedure in which the victim was first hanged until almost dead, them emasculated, disembowelled, beheaded and quartered (cut into 4 pieces). The intestines /entrails were thrown onto a fire and the other remains were usually displayed in prominent places, such as London Bridge. In the months after the plot, new laws were passed removing Catholics’ right to vote and restricing their role in public life. It was 200 years before these restrictions were fully lifted. 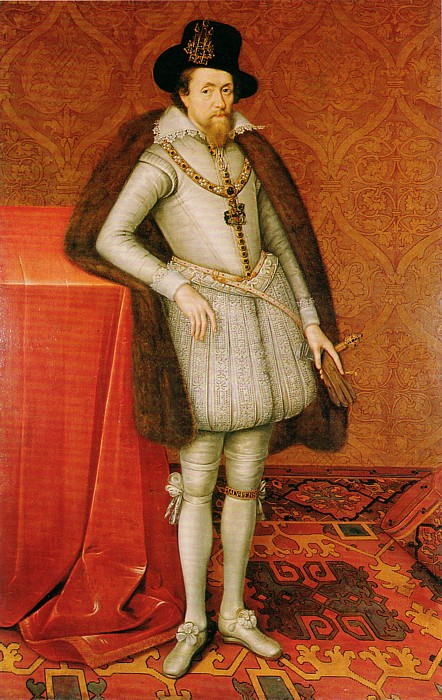 In Britain we continue to celebrate the failure of the plot against James I and the execution of his would-be assassins on November 5th every year. The burning of a ‘guy’ – an effigy of Guido Fawkes on top of a bonfire – has ensured the plot survives in national memory. 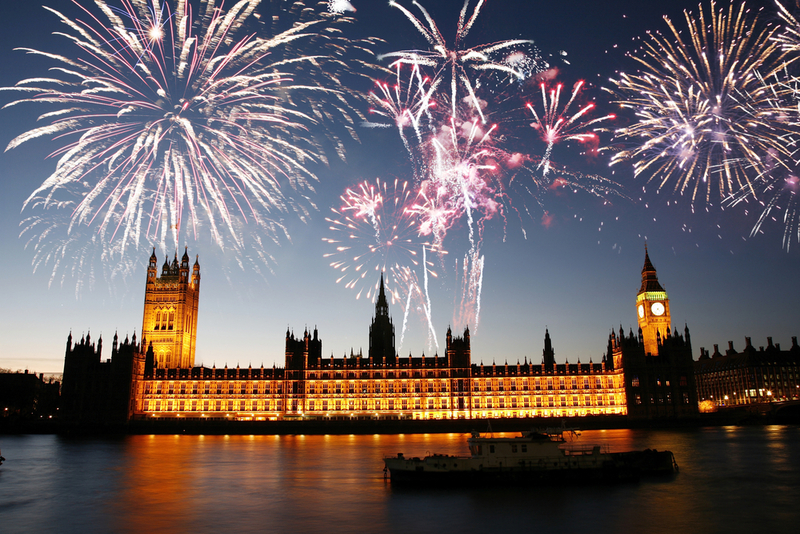 Here are a few pictures of Bonfire Night in the U.K.
To Market To Market To Buy A Fat Pig … or whatever takes your fancy. All children love this rhyme, and this version of it is from the late nineteenth century. 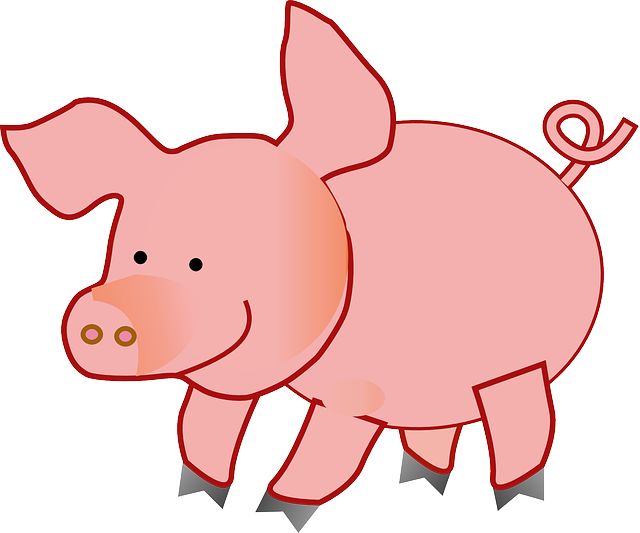 The first version, earlier that century, made no mention of a pig. And the reason I’m quoting the rhyme at all . . .? Well, I love old towns, old buildings and anything of historical interest in general. 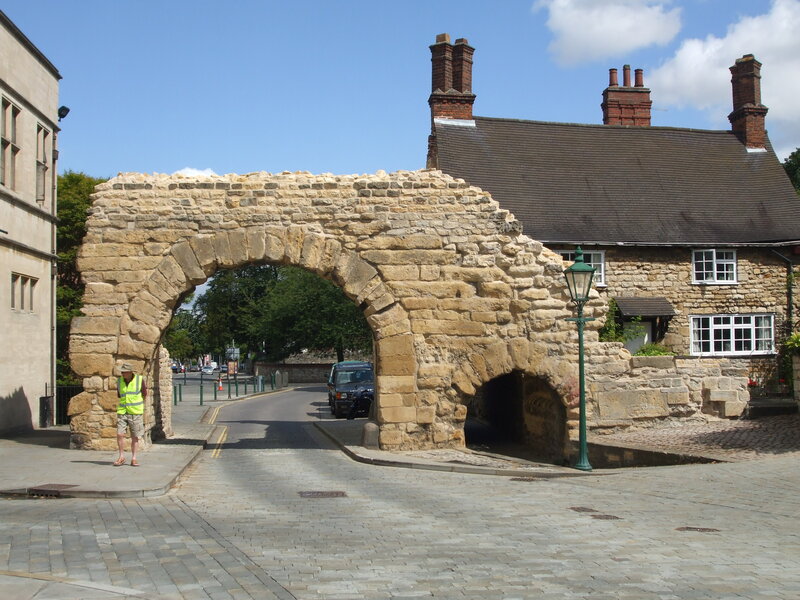 The market town of Newark (full title, Newark-on-Trent) in Nottinghamshire, is simply brimming with history, and I’ll be doing a post about it some time soon. 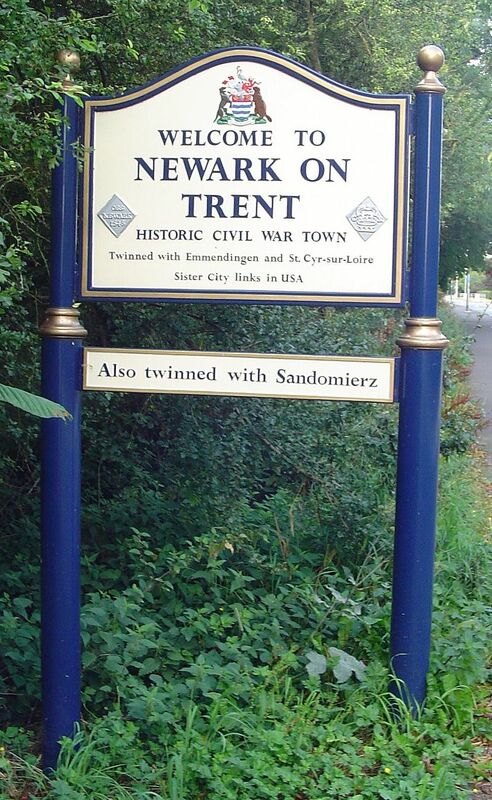 (We lived in Newark for eleven years, before moving out to enjoy village life seven miles away.) Today I just want to share some views of the market and market place in general and a few words about its history. Our eldest son has his butcher’s shop there which, naturally, we visit when we’re in town. 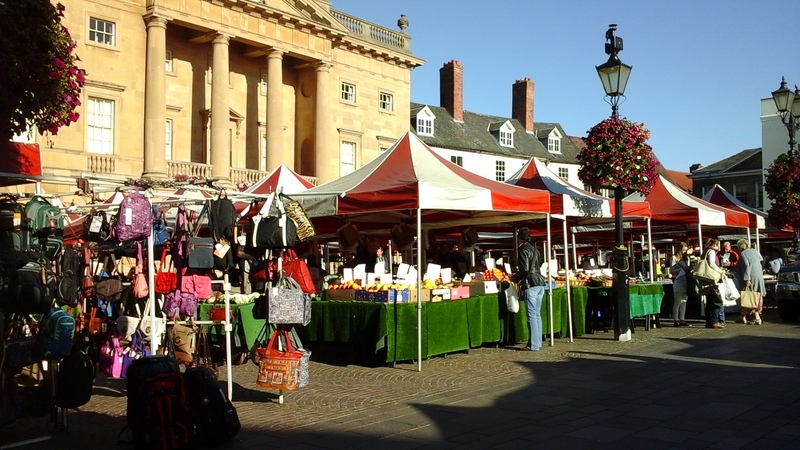 Newark Royal Market is one of the oldest in the UK, dating back to the 12th century when a charter was granted by Henry VI. Originally held on a Sunday, it became the first market in England to operate on a Wednesday. Its Royal Charter was granted in 1549 by Edward VI, and since then it has continued to be a key trading centre for the region. Markets are held five days a week: general markets on Wednesdays, Fridays and Saturdays and ‘collectors’ or antique markets on Mondays and Thursdays (which sound impressive, although few stalls are involved). The markets are held in the impressive market place, overlooked by the Georgian town hall, with the spire of the church, St. Mary Magdalene, also in the background. Both of these can be seen in the photos below, as well as a few very old, Tudor-style buildings and the old water pump. 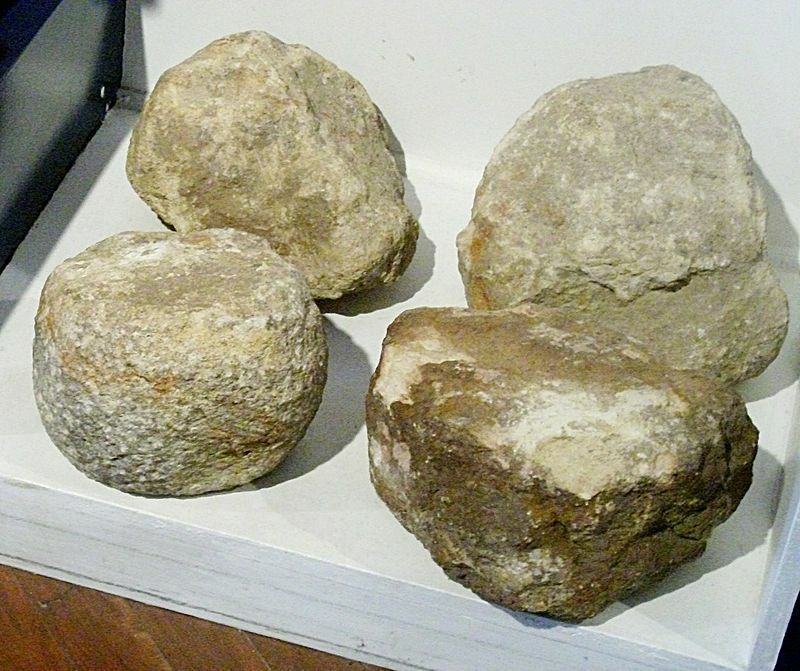 There are also some stocks – which I forgot to photograph yesterday. Until relatively recently, Newark was famed for having the oldest cobbled market place in the country, and possibly in Europe. But sometime around 2000, the old cobbles were removed and replaced by new, smoother and flatter ones. I completely understand that this was done for safety reasons – old people, either on foot, in wheelchairs or mobility scooters, and mothers with pushchairs, all found the bumpy cobbles difficult to walk on. For anyone unsteady on their legs, they were obviously dangerous. Yet the destruction of something of such historical value still causes a pang. The cellars beneath Richard’s shop have tunnels running through the shops alongside it, right up to the building facing the market place. They were all once part of that building – an old hotel/inn called The Clinton Arms. The last picture above shows the view from his shop to the market. We’re delighted that it’s such a prime site for him, and his shop is very popular. Not surprisingly, he’s a great butcher, having worked at it since leaving school (and he’s now 41). So I suppose, if anyone wanted to buy a fat pig (though not a live one) Richard’s would be the place to go . . .
Reg swigged back his ale and grinned at his wife, chuckling at the stand-up’s jokes. 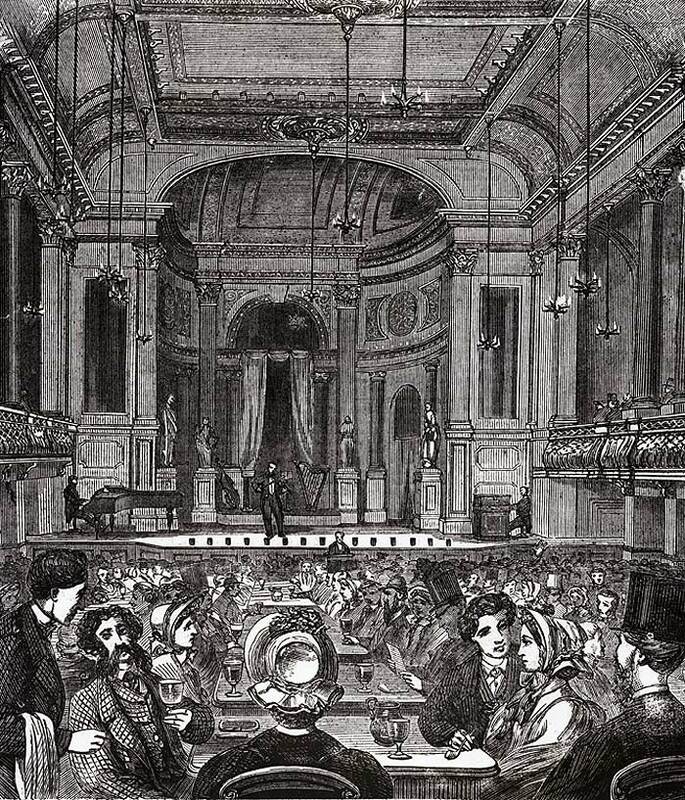 The music hall was packed, every table full. Ale was flowing and the noise from the audience was rising rapidly. Cheers erupted as Vesta Tilley appeared on stage, dressed in a soldier’s uniform. Her first few songs had everyone singing along. Then all fell silent as she stepped down from the stage, wandering amongst the tables singing, ‘Oh, we don’t want to lose you but we think you ought to go,’ touching men’s shoulders as she passed. As most of the men, Reg rose and followed Vesta back to the stage. He’d fight the Hun for king and country. No white feather for him. A single white feather close up. Author: Joao Andrade de Frietas. Uploaded by Rex Public Domain. 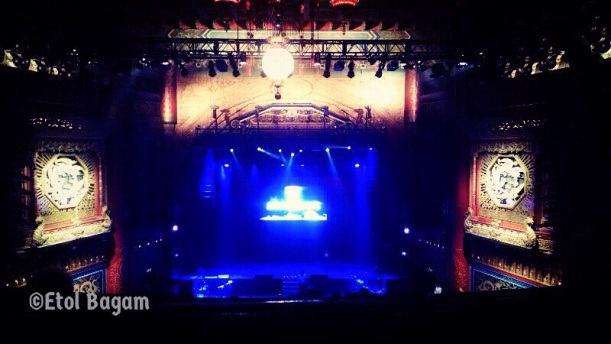 The halls created a demand for new and catchy popular songs, many composed by professional song writers with their working class audiences in mind. Songs like ‘My Old man Said Follow the Van’ and ‘Waiting at the Church’ described situations which the urban poor would be familiar with. ‘Well oiled’ on cheap beer, the audience chorused songs they loved and abused acts they loathed. In some places audiences would throw things at dud acts, and the bottles carried by the waiters were chained to the trays to prevent them being used as missiles. 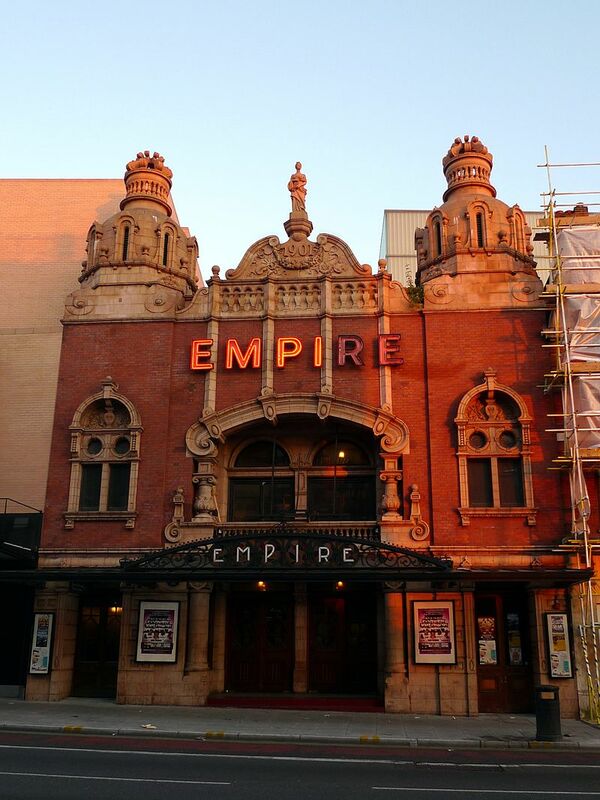 Music Hall’s support for the war effort is well documented – although no one can deny that owners, landlords and song writers made a lot of money out of it. By the end of 1914, 30 or more specially composed songs promoting recruitment had been written. Many music hall performers threw themselves into the effort, including, the most popular of all the singers, Marie Lloyd . 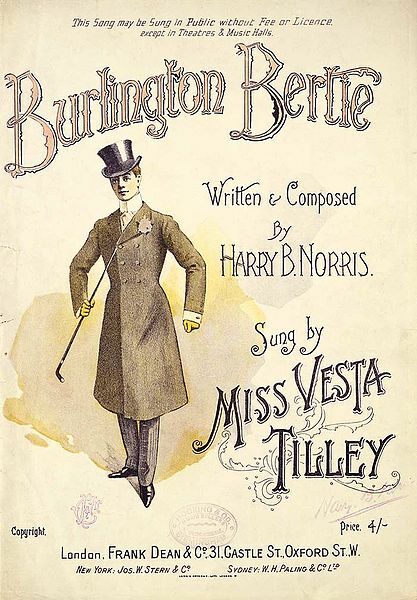 . .
Vesta Tilley had sung in music halls since she was 5 and generally dressed in men’s clothes (although during the day she took care to dress in her usual women’s wear to emphasise her femininity). One of her most popular songs was about a young swell, ‘Burlington Bertie‘. 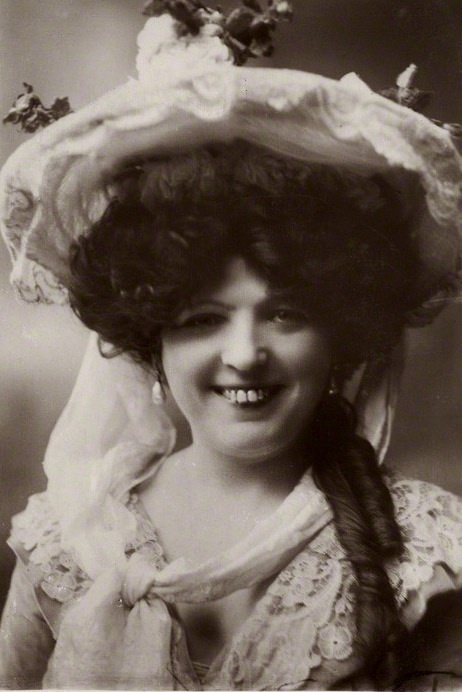 During the early years of WW1, along with many other music hall performers, she helped in the recruitment of thousands of men.. She dressed as a soldier and sang patriotic songs, including Jolly Good Luck to the Girl Who Loves a Soldier and The Army of Today’s All Right. She was given the nickname of ‘Britain’s best recruiting sergeant’. 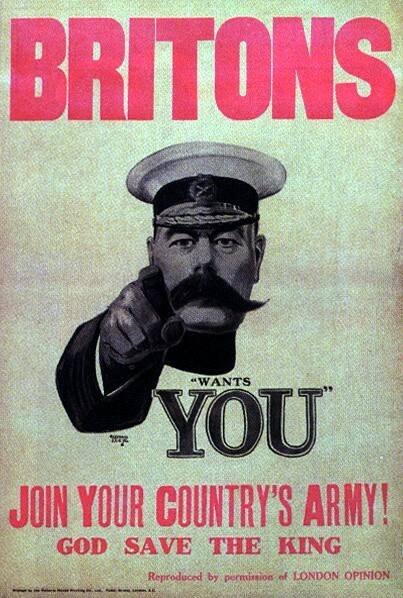 In 1914 Lord Kitchener introduced voluntary enlistment to increase British forces. It helped to create Britain’s first mass citizen army. Kitchener was one of the few British leaders to believe that this war would be long and difficult, and not ‘over by Christmas’. Within a year it became obvious that it was not possible to continue fighting by relying on voluntary recruits. Conscription was introduced in March 1916. The name ‘Hun’ was a derogatory term for German soldiers. It resulted from a remark made by Kaiser Wilhelm of Germany in 1900, when he sent his armies to deal with the Boxer Rebellion in China. He told his troops to show no mercy – just as the Huns, 1000 years earlier, had exhibited wanton destruction as they swept through Europe. 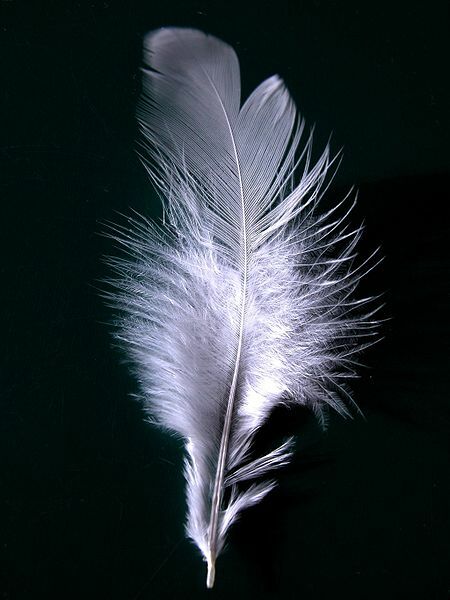 The White Feather has been a traditional symbol of cowardice, used within the British Army and countries associated with the British Empire since the 18th century. It aimed to humiliate men who were not soldiers. The White Feather Movement was a propaganda campaign in England during WWI to encourage men to enlist in the army. White feathers were distributed by women of the Order of the White Feather to any man they deemed capable of joining the army who was out of uniform. They aimed to make men realise that women viewed them as cowards. Other men would therefore be so afraid of receiving a feather they would join the army. Conscientious objectors were seen as cowards and received white feathers if their stance became known. A fair, or the older version of the word, faire or fayre, is a gathering of people for various entertainments and activities. 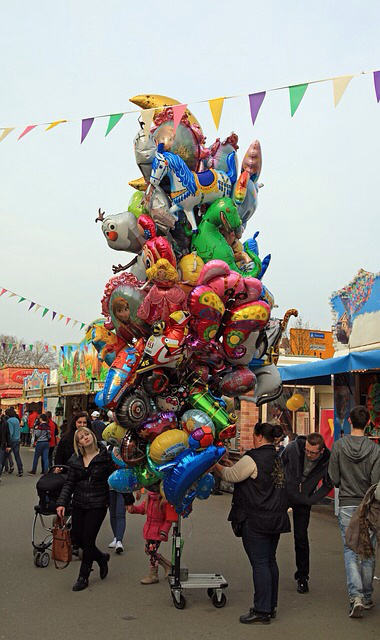 Many fairs are temporary, some lasting for a mere afternoon, others for lasting for several weeks. 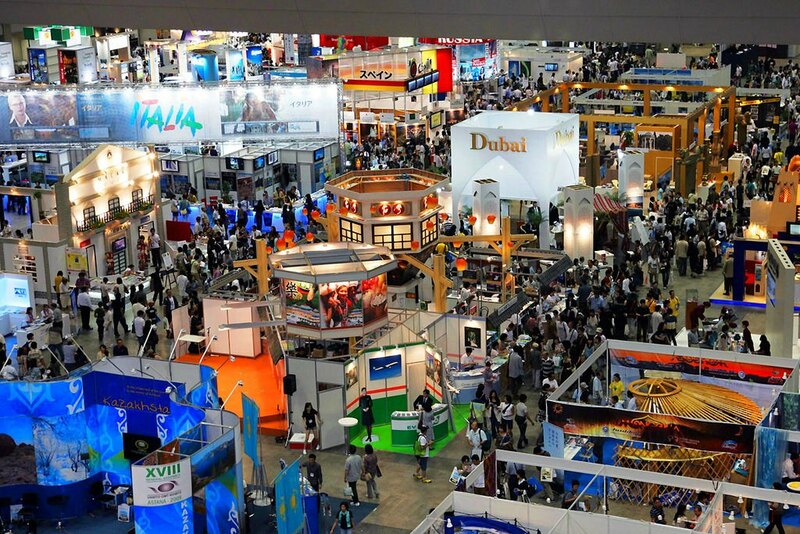 Types of fairs include trade fairs, street fairs, agricultural shows, fêtes, festival and travelling carnivals or funfairs. 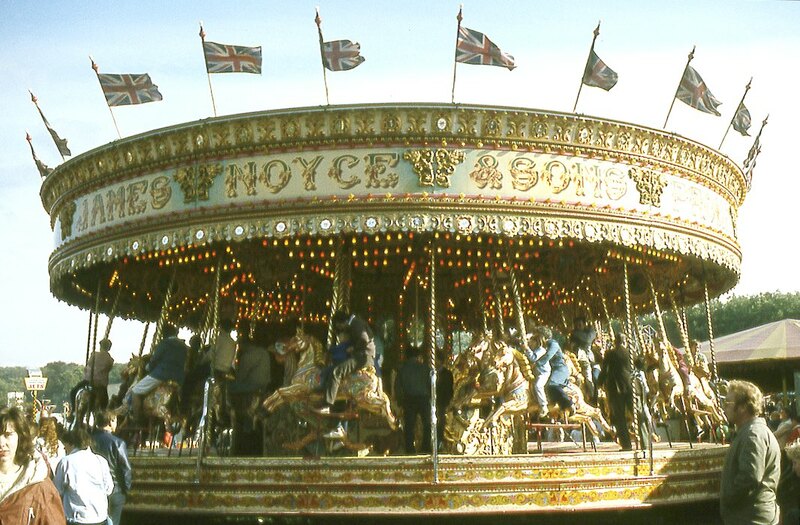 It was once believed that the Romans introduced fairs into Britain, and the word fair is derived from the Lain word, feria. 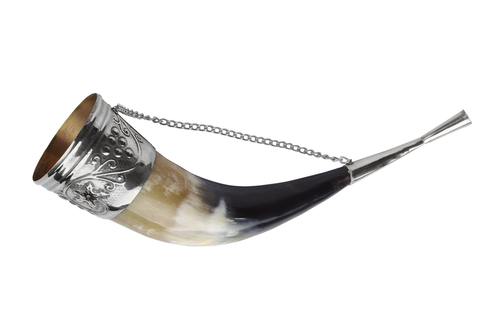 But the tradition is more deeply rooted, having its origin in pagan customs. Their seasonal gatherings, thought to be for festivity and trade, contained the elements of the fair. Following the Norman Conquest, trade became the more important part of holding a fair, when they were restructured along French lines. Charters were granted by the king, giving fairs legal status, and they became increasingly important to the economic life of the country. 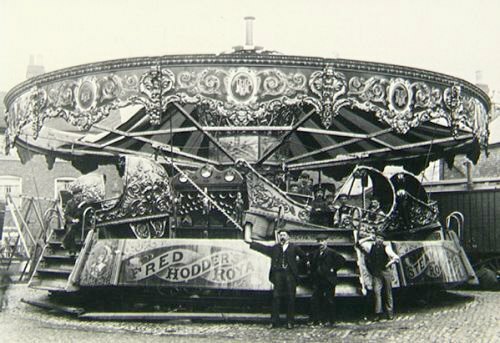 Fairs were often tied to Christian occasions, such as Saints’ Days at the local church, and became important landmarks in the calendar, socially and culturally. 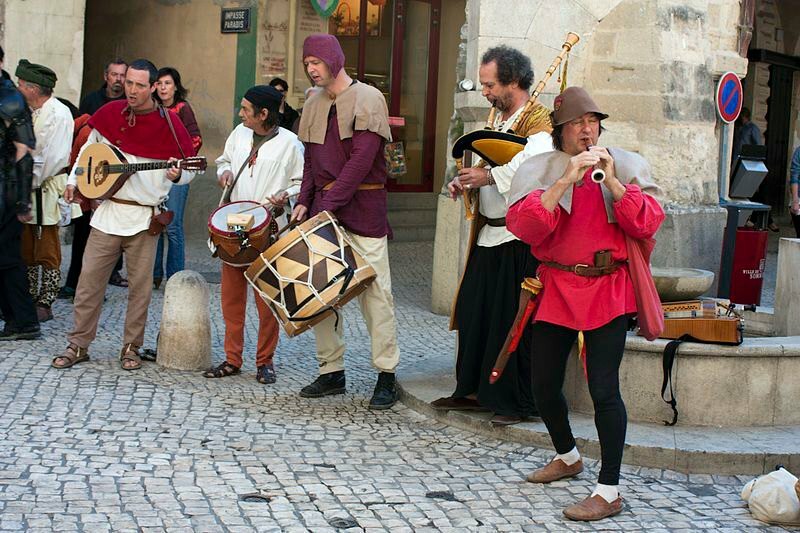 As well as drawing in traders and farmers, they were venues for a variety of entertainments, including jugglers, tumblers and musicians. Dancing bears were sometimes a crowd-drawing feature. 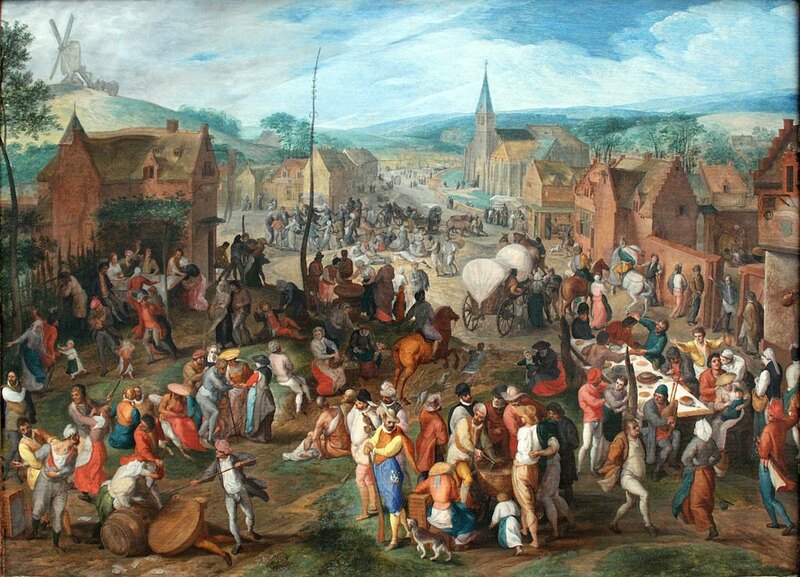 ‘Village Fair’, a painting by Flemish artist, Gillis Mostaert in 1590. Photographer: anagoria. Painting now in Gemäldegalerie art museum in Berlin. 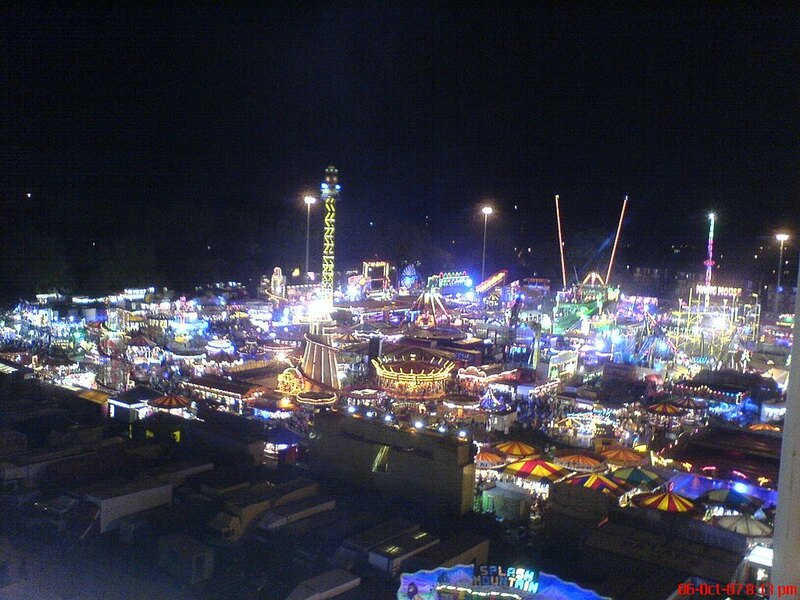 View of Nottingham Goose Fair from the ferris wheel in 2007. Author: Klickingart. Commons. In India, the Kumbh Mela, held every 12 years at Allahabad, Haridivas, Nashik and Ujjain, is one of the largest fairs in the country. Sixty million people gathered in 2001, making it the largest gathering in the world. 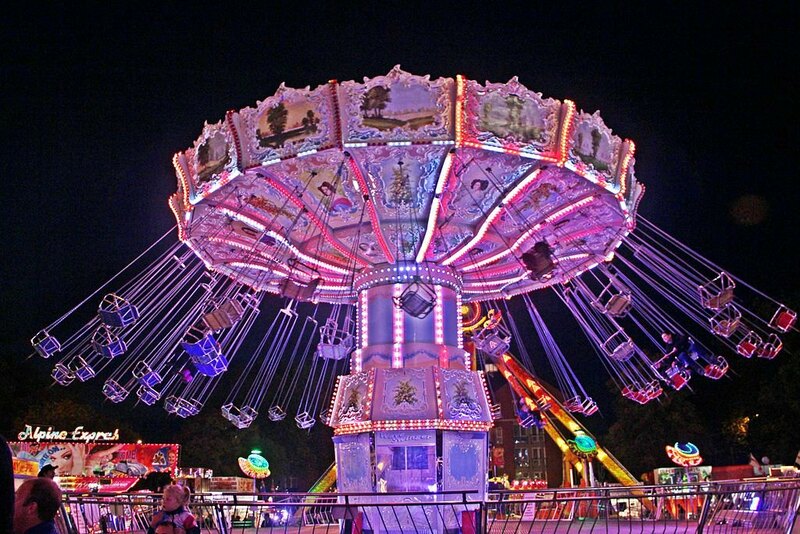 In the U.S. fairs draw 150 million people each summer. Children’s camps range from breeding small animals to robotics, whilst the organization 4-H (a youth development programme) has become a traditional association. This post and the flash fiction post that accompanies it (which can be found here) are the first posts I’ve done for almost two weeks. I was away from home for eight days, and since being back we’ve been invaded by family and had several outings. So I must apologise to all those people whose posts I’ve missed. I hope to catch up on at least some of them. So, this is a brief summary of some of the methods of besieging a castle. 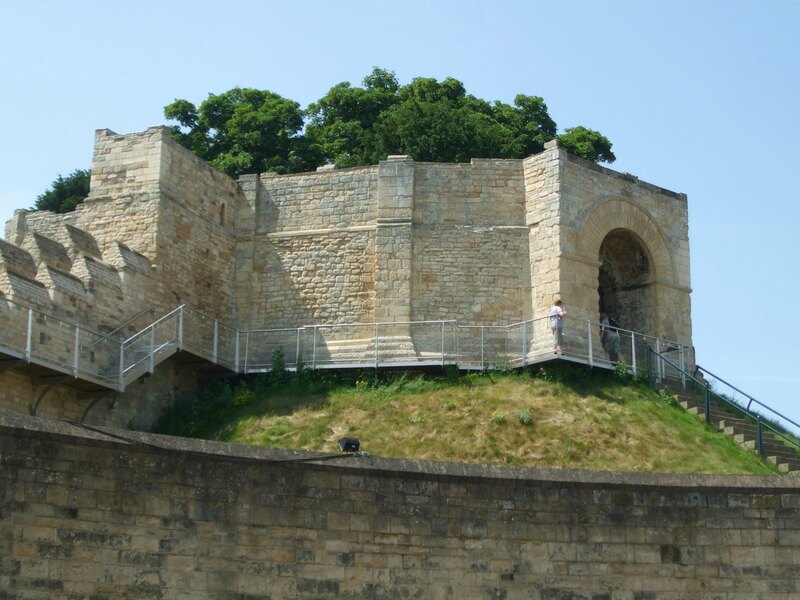 Medieval soldiers used a variety of methods to breach the castle defences and sieges were common. Siege tactics became very complex and did not just involve attackers rushing at the castle – which would risk the loss of too many men. First, the castle would be surrounded, thus cutting off any means of escape and all supplies to the inhabitants. 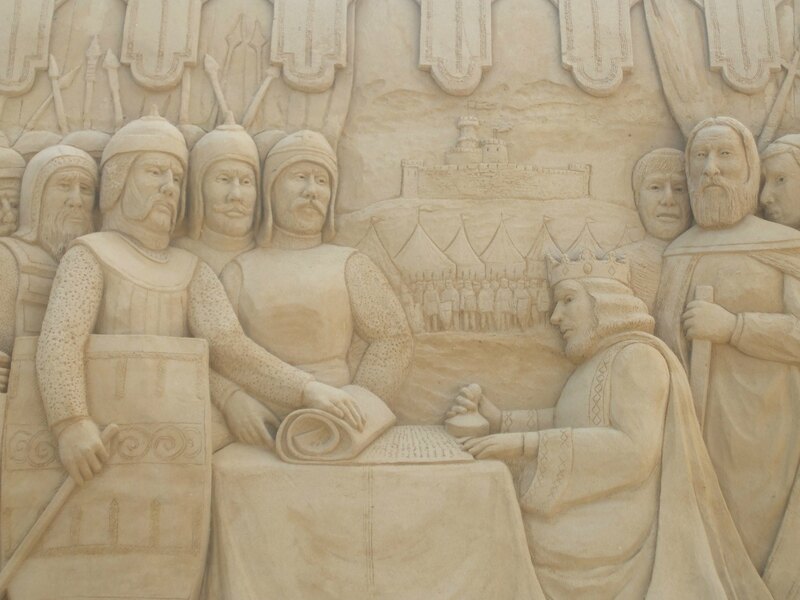 At the same time, besiegers would ensure that their own encampment was fortified, sometimes even constructing an earthen embankment around it and organising a constant night watch. Then they would simply wait for the lord of the castle to surrender – which could take many months. If the lord still refused to surrender, assault on the castle would commence. 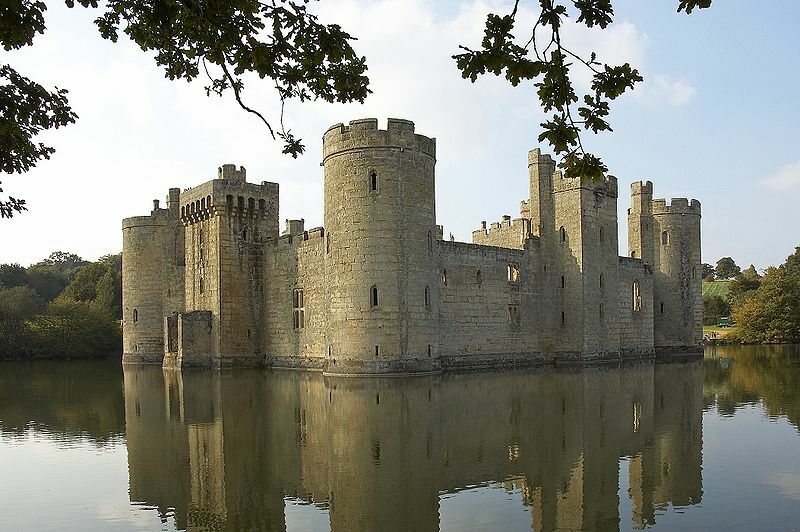 By this time, attackers would have located the castles weakest points, such as the weakest doorways and lowest curtain walls – preferably with no outer river or moat, which entailed using barges to cross them. 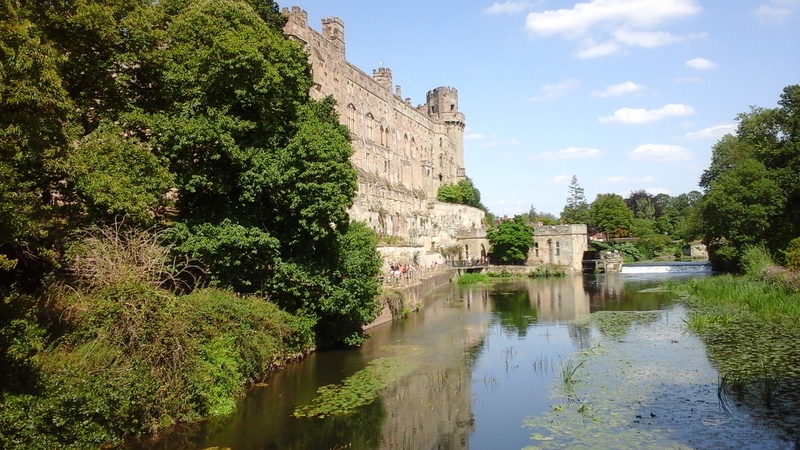 The River Avon acts as a natural moat along the curtain wall at the eastern side of Warwick Castle. 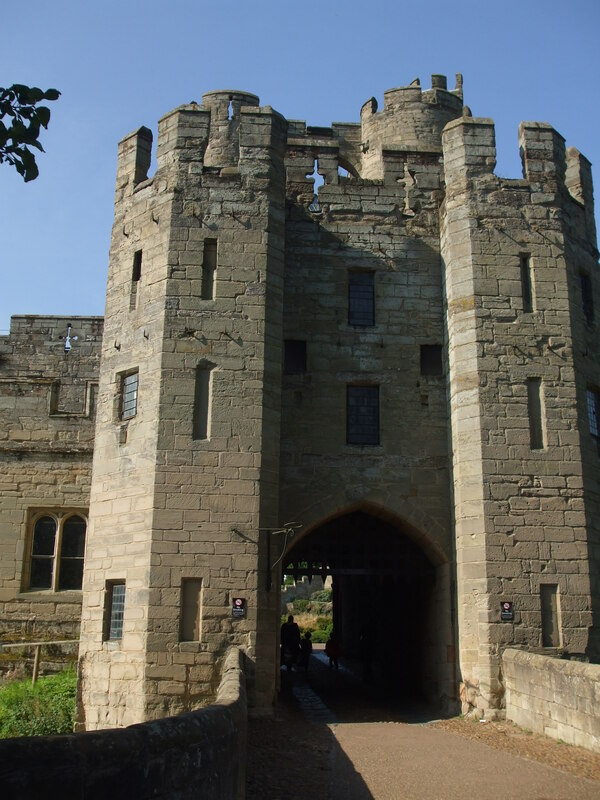 At the same time as the gateways were being attacked, ladders would be carried up to scale the walls, often to be met by defenders who simply pushed the ladders away, or greeted rising besiegers with boiling oil. 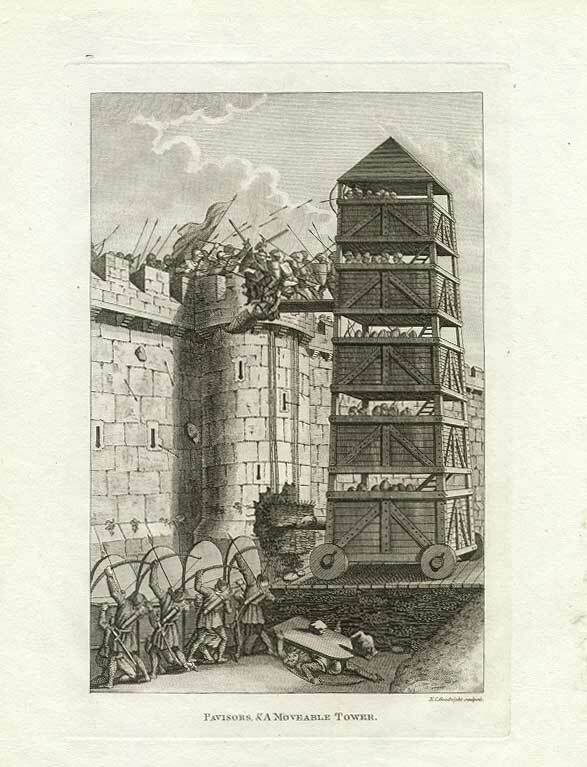 For scaling the walls, lofty siege towers (or belfries) were wheeled up. At the top of these was a drawbridge which would be lowered to allow men to stream out and attack defending guards. 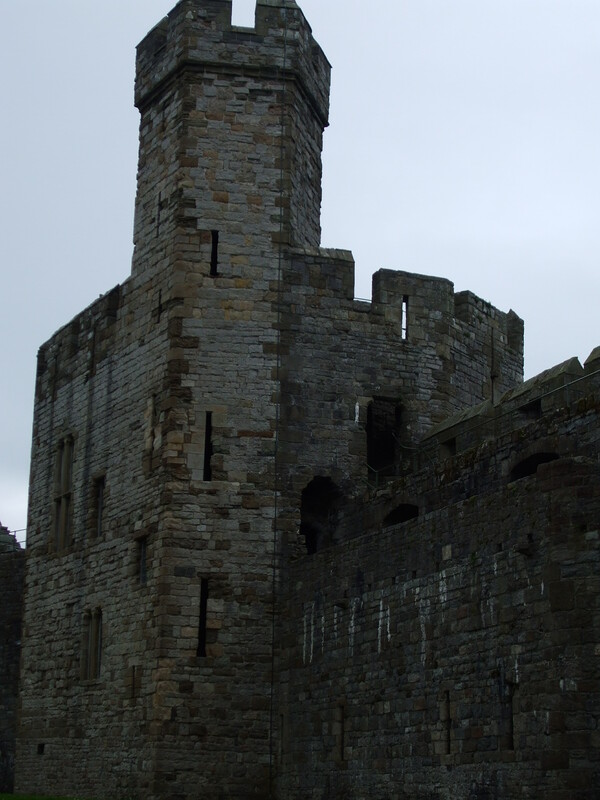 Sometimes, belfries were used from a distance to fire arrows down into the castle. 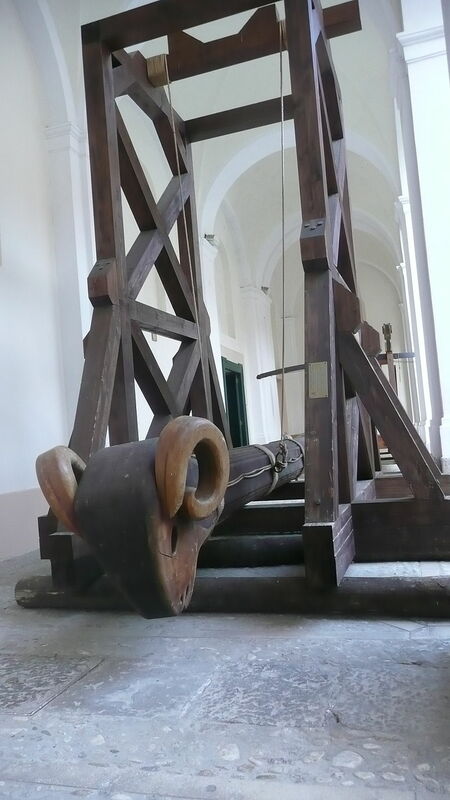 Other machines (effectively different versions of catapults) were designed to breach the castle walls and towers by hurling large rocks and missiles at them. 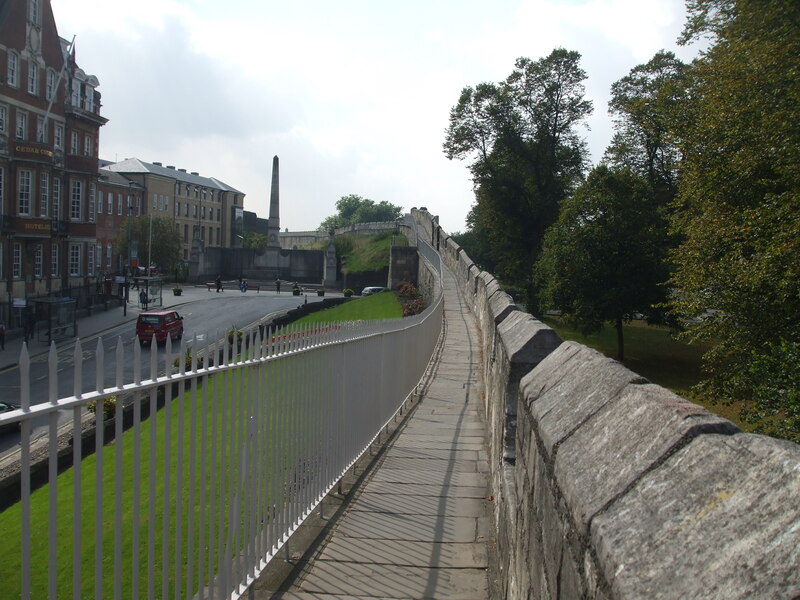 Dead animals were also hurled over the walls in the hope of spreading disease amongst the inhabitants. 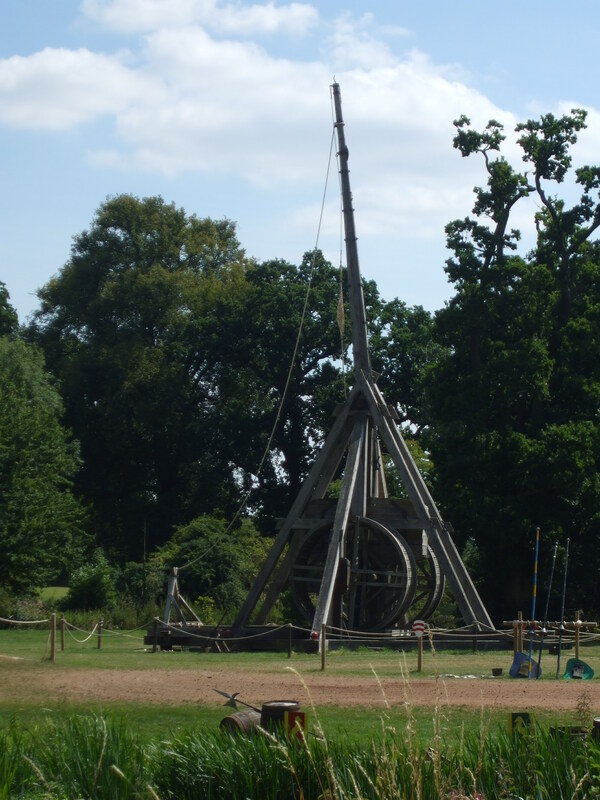 Mangonel shot used in the siege of Bedford Castle in 1224. Author Simon Speed. Public Domain. 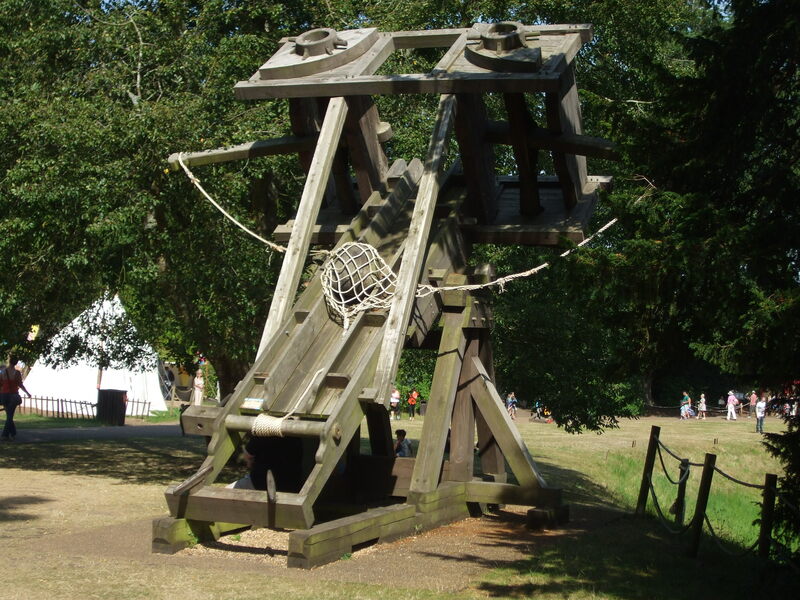 A ballista was built like a huge crossbow and designed to shoot bolts (huge,metal-covered arrows) into the castle. 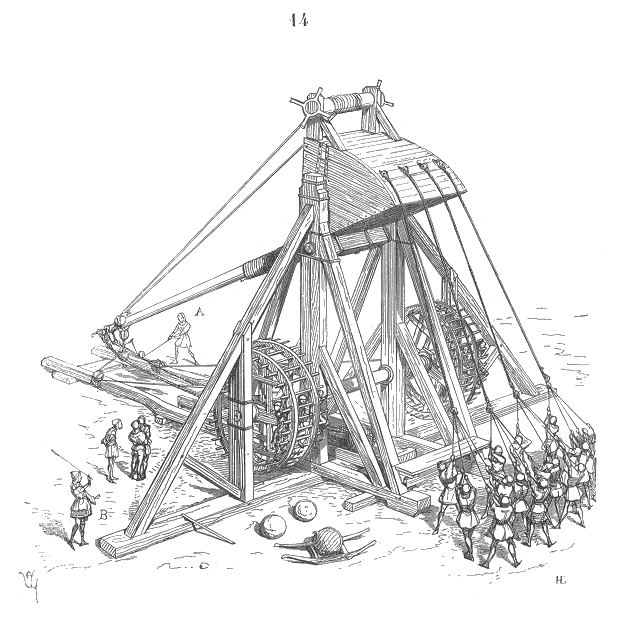 It was manoeuvrable and played an important part in sieges for over a thousand years, originating in ancient Greece. 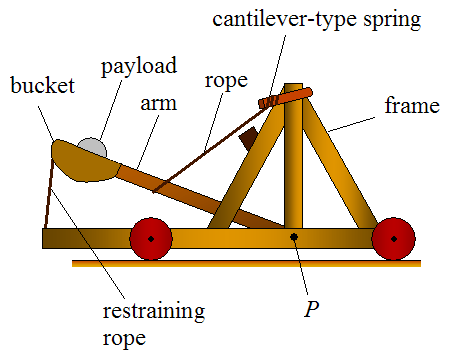 This weapon utilized two torsion springs and two throwing arms to launch its load along a central track. While all this was going on at the top of the castle, miners/sappers would be busy tunnelling up to the castle and tower walls in order to collapse them. 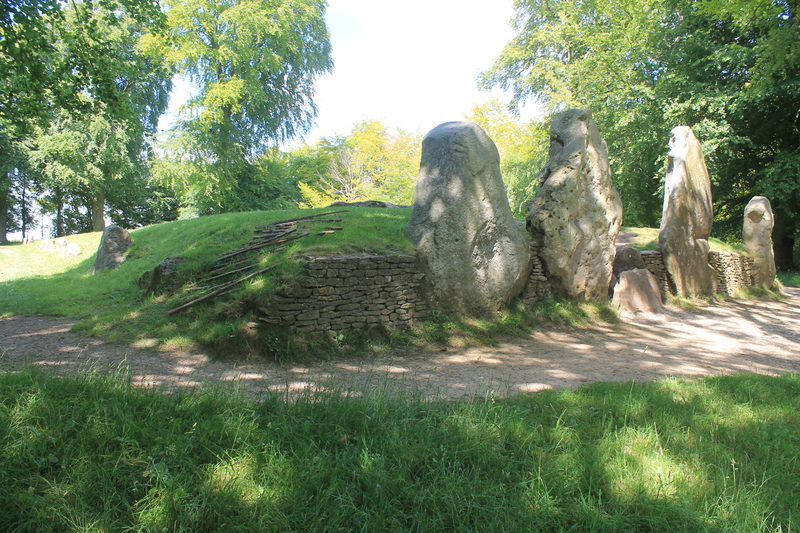 To do this they would remove the foundation stones and replace them with wooden props. A fire would then be lit and the miners got out quick! 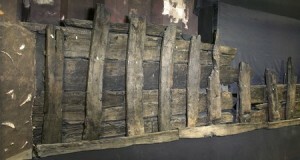 Once the props burnt through, there would be nothing to hold up the wall, so it simply collapsed. The corners of square castles were the weakest parts and miners would often aim for those. Inside the castle, guards would place pots of water near the towers and walls. When the water rippled, they would know that enemy miners were at work. Needless to say, a great variety of hand weapons were used during attacks, amongst others a variety of swords, knives, axes, spears, clubs, maces, flails, halberds, crossbows and longbows. And all soldiers would be heavily weighted down with necessary armour. It’s always mind-boggling to think of the enormous weight medieval soldiers had to carry whilst fighting for their lives. Last Tuesday, my husband and I had a trip out to the wonderful old city of York. We’re regular visitors to the city itself, which is roughly eighty miles from where we live, but on this occasion our main purpose was to revisit the Jorvik Viking Centre. We hadn’t been to Jorvik since the early 1990’s and the whole place has been considerably updated since then, although the basic layout of the Viking streets was much as I remembered it. 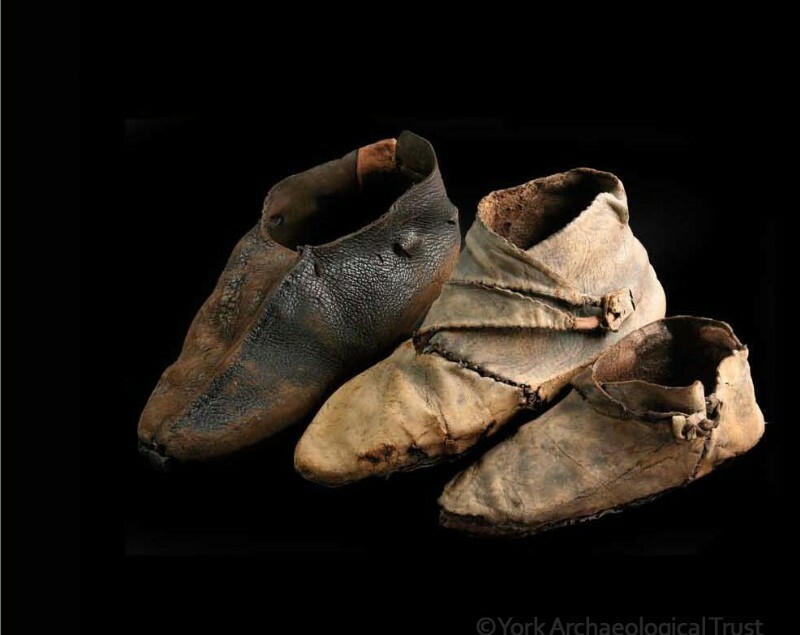 Jorvik Viking Centre is 30 years’ old! 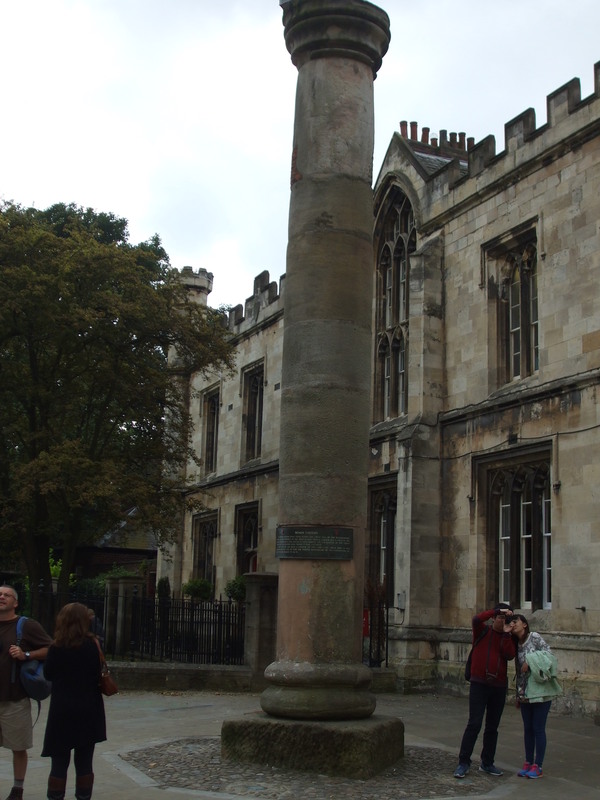 York itself is a magnet for tourists from many parts of the world. Cameras are out wherever you go in the central areas, aiming to capture as many of the beautiful or quaint old buildings as possible. 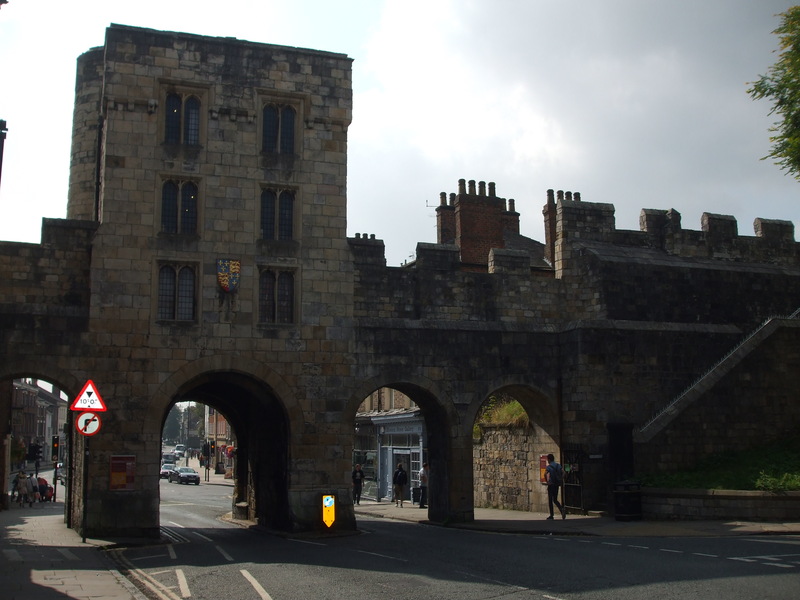 Others aim for more specific periods of history, because York is one of those places that display a veritable journey through time. 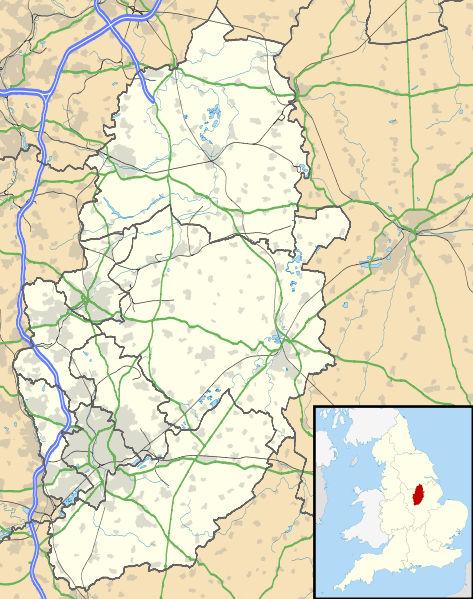 In the first century AD, the town was called Eboracum, and was one of the major Roman cities – their ‘capital’ in the North of Britain. Prior to that, the region belonged to Celtic tribes, the most well know of which were the Brigantes. 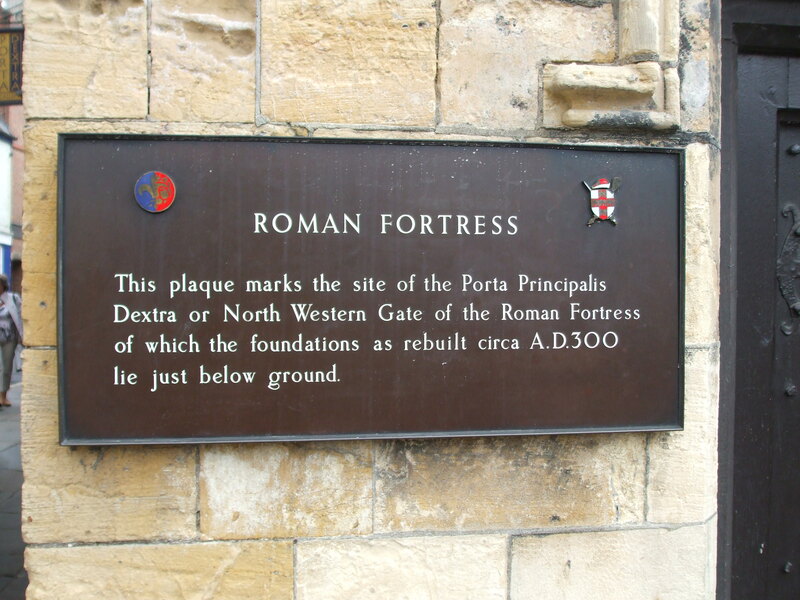 There’s abundant evidence for the Roman occupation around the city, from the town walls and gates . . .
. . . to columns and plaques signifying what once stood on particular sites, as well as umpteen artefacts in The Yorkshire Museum. 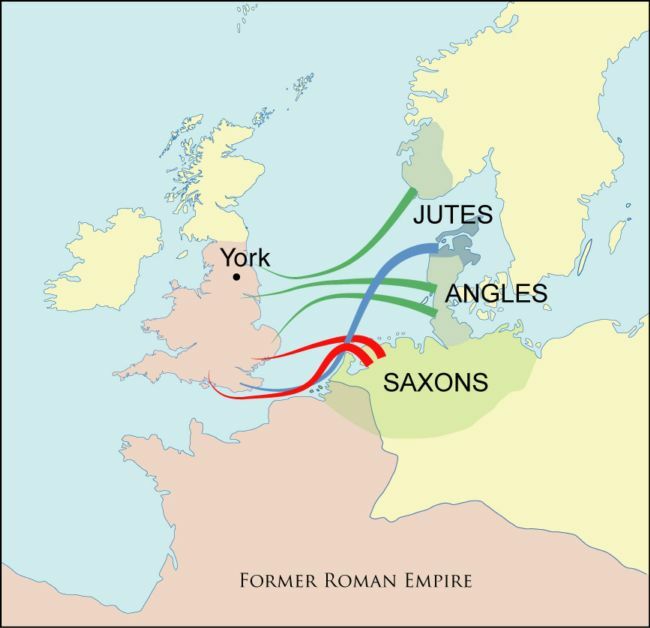 It was the Angles who mainly settled in Northumbria, the Saxons being much further south. The Angles called the city, Eorforwic (in some texts Eorferwic). The favoured building material of the Anglo-Saxons was wood, which, unfortunately for archaeologists and historians, does not endure through the centuries. So, little remains of Anglo-Saxon York other than general artefacts, like this 8th century helmet found on Coppergate, which also happens to be the the main street in Viking York. 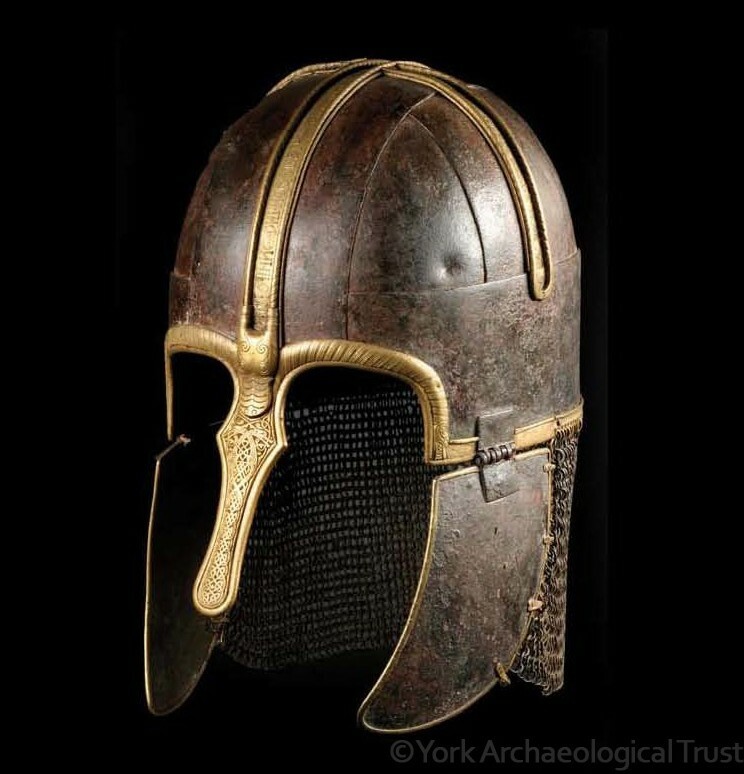 The Coppergate Helmet – Coppergate also happens to be the main street in Viking York. The Vikings (mostly Danes) first subjugated York in 866, a year after the arrival of what we call the ‘Great Heathen Army’ in East Anglia 865. 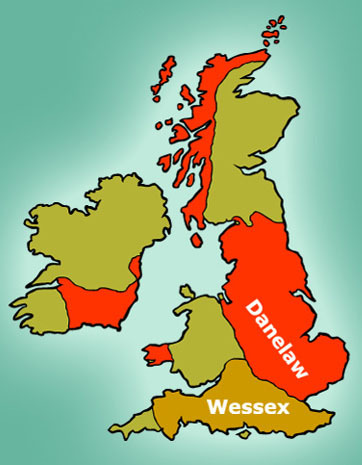 Danish settlement in the area would doubtless have taken place gradually, but by the time of the establishment of the Danelaw (following a treaty between Alfred the Great and the Danish leader, Guthrum, in 886) the Anglo-Saxon name of Eorforwic had become the Danish name, Jorvik. 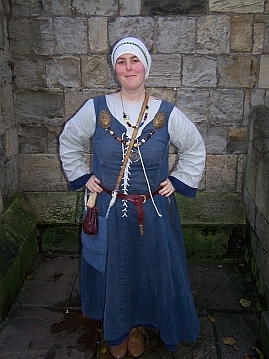 The Jorvik holds several events over the year, which cover the whole period of Viking York up to the time of the Norman Invasion in 1066. 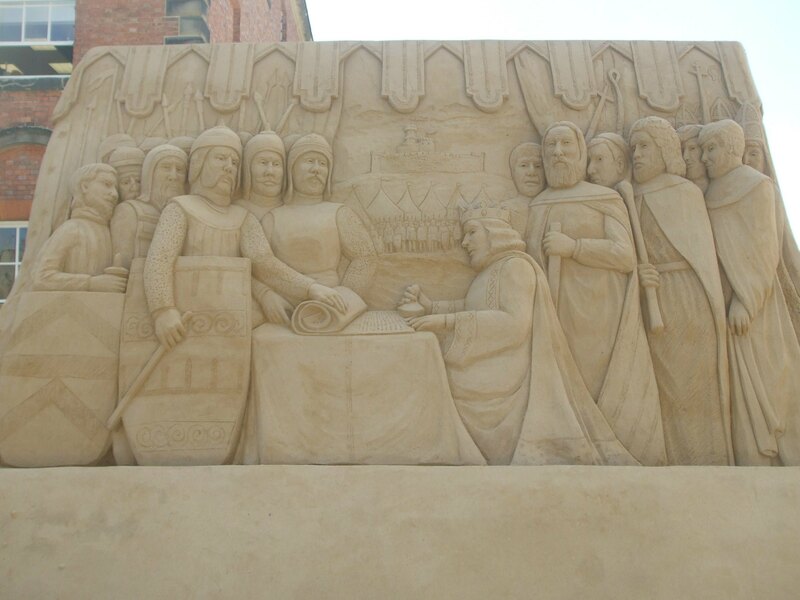 After that date the tale of Medieval York begins – for which there is boundless evidence all over the city . . . And so on through to more recent times. The ‘veritable journey through time’ to which I referred earlier can be seen through the strata meticulously displayed in the Jorvik Centre. 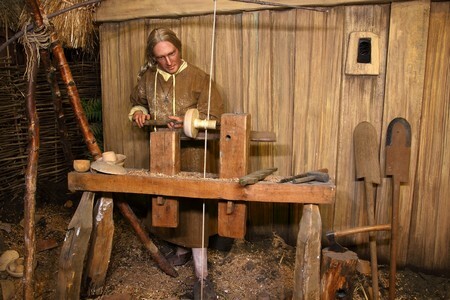 York has been like a honey-pot to settlers since ancient times. 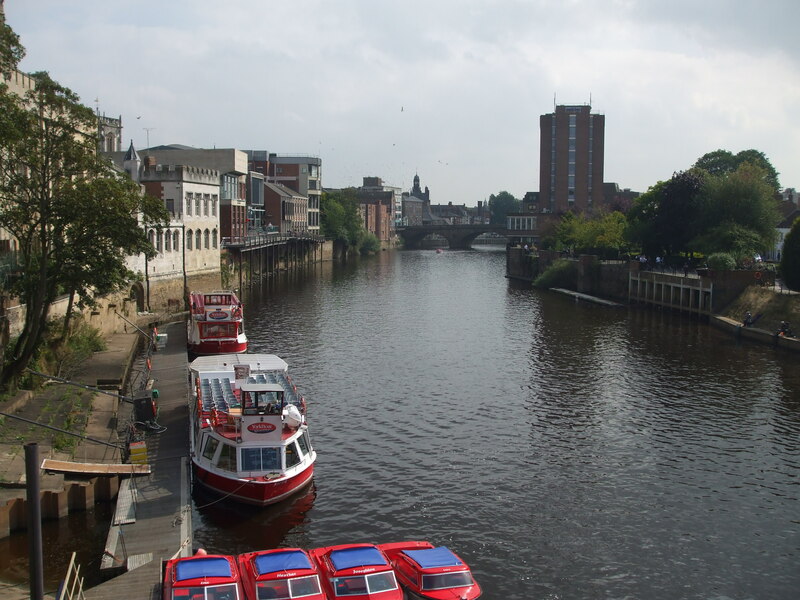 The River Ouse, which flows through the city and out to the North Sea, would have provided a natural route inland for settlers and raiders alike. 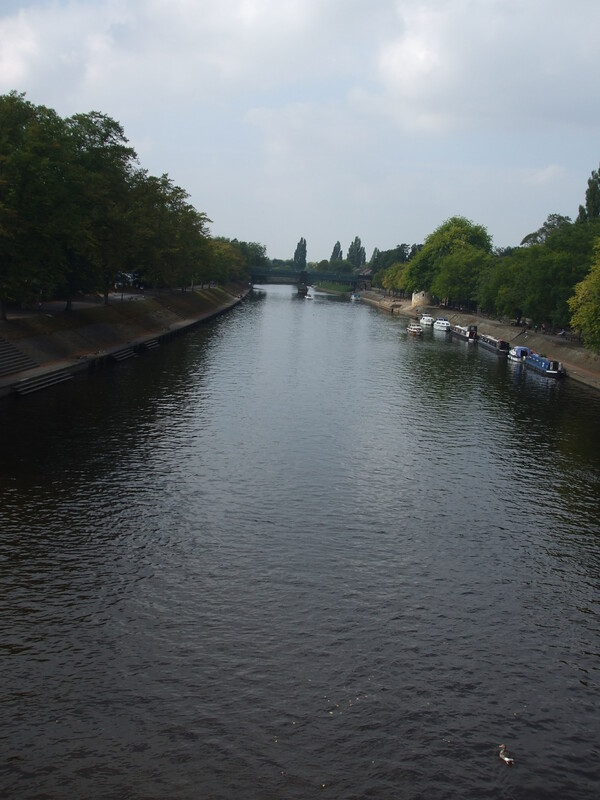 The river’s confluence with the smaller River Foss provided the requisite natural defences for the early city, and the surrounding fertile and flat land was ideal for crops. 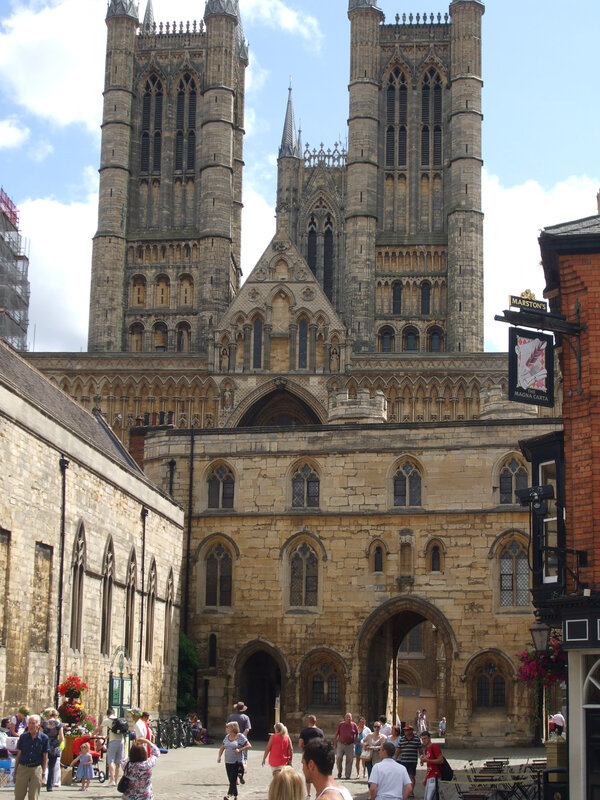 Since my Sons of Kings trilogy is set in the mid-late 9th century, it’s the Anglo-Saxon and Viking evidence that presently draws me to York. But I also love all things Roman and medieval. After the end of the Wars of the Roses in 1487 my interest tends to wane, but it sparks right back up again with the onset of the Victorian period and the First World War. But right now, I’m even dreaming of Anglo-Saxons and ‘Vikings’ – and King Alfred’s almighty struggle to keep his kingdom . . .
Vikings! Who Were They – And How Did They Get That Name, Anyway? 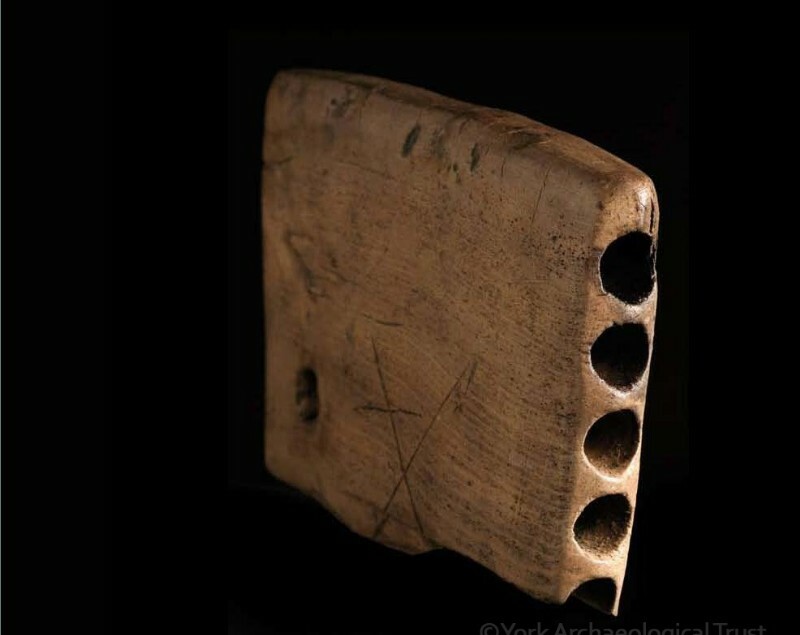 According to many films, TV series (not documentaries) and novels, the hiss of that single word, ‘Vikings!’, stuck terror into the hearts of peoples across North West Europe – especially the inhabitants of coastal or riverine settlements. But, from what I’ve deduced from a variety of texts, the word was not generally used at the time. The origin of the word is still open to debate, but it’s undoubtedly an ancient word, as it appears on rune stones of the Viking Age. In some cases it refers to a person who travels, or an adventurer, and it is possible that even at this time the word applied to raiders. Yet, according to David Wilson in his book, ‘The Vikings of the Isle of Man’, the term was not in general usage in the English language until the mid nineteenth century. 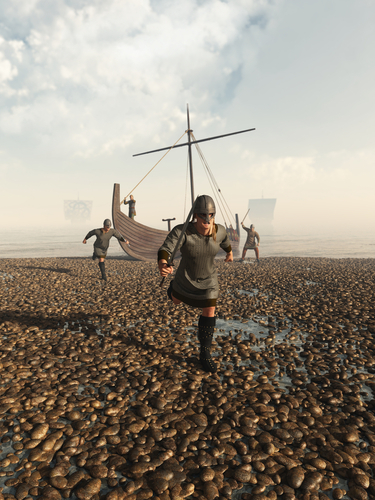 No one can doubt that such raids took place but, at the time, the marauders, and later on, settlers, would collectively have been referred to as ‘Northmen’, or ‘Norsemen’ – men from the north. In the ninth century, the Northmen / Norsemen who raided and eventually settled in the Anglo-Saxon kingdoms (which did not become known as England until the tenth century) would have come primarily from the area we now know as Denmark and from Norway. 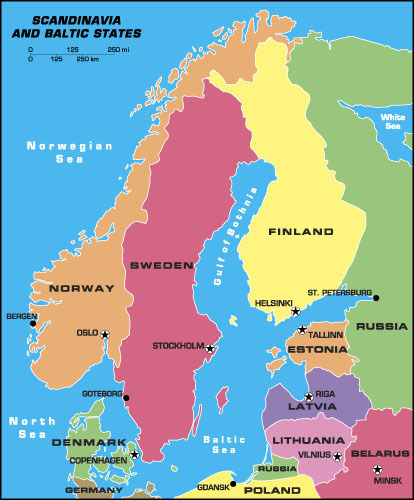 Most of the Swedes tended to head east, up river valleys into the heart of Eurasia. Like England, the names of Denmark, Norway and Sweden did not exist either, and the entire region would have been called the Norselands. When writing fiction, this becomes quite problematic, and it is often easier to use the names we know today – which I have done in places in my own novels, Shadow of the Raven and Pit of Vipers (the latter should be on Amazon soon). I know I’m not alone when I say I find the Viking world fascinating. Norse mythology is both complex and colourful, the multiple gods and goddesses and their entire universe a trigger for the imagination. 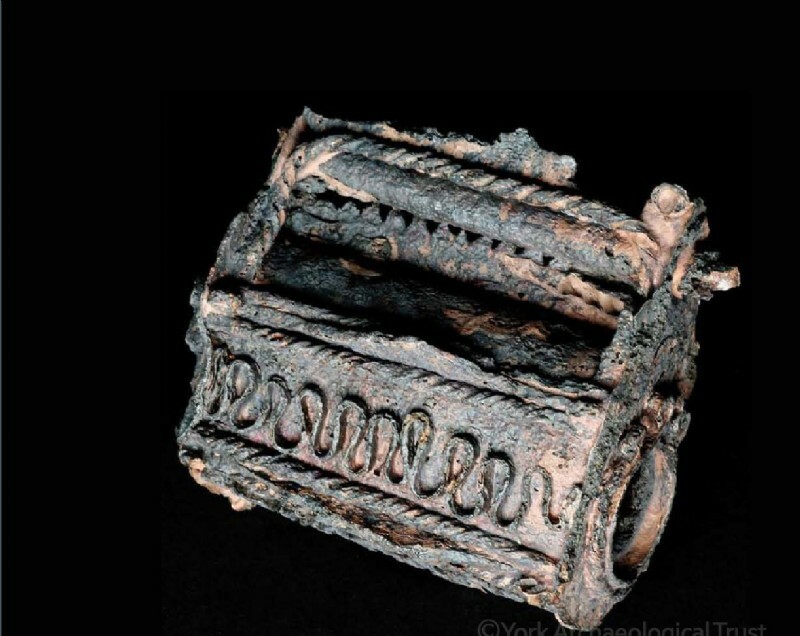 I realise that certain aspects of the Viking culture leave some people shouting utter condemnation – the blood sacrifices to the gods and the barbaric raids in particular. But what we have to bear in mind is that moral standards of the period were so vastly different to those of most modern-day cultures. Many such practices were based on the need for survival throughout the harsh winter months. Raids gained the Viking people silver, or goods to trade or sell in order to buy basic requirements of everyday life, including food. Today we may well see their actions as monstrous, but it’s simply how it was. And let’s not forget, the Vikings were only one group of the many such raiders, including the Anglo-Saxons, who, by the time of the first Viking raids (as on the monastery at Lindisfarne) were well established Christians. I’m sure you could list a whole lot more. One of my earliest encounters with Vikings was in the 1950’s film, aptly entitled, ‘The Vikings’. I’m sure even those amongst you who hadn’t even been born then, have heard of it. Well, in 1959, at the age of eleven, I loved it. I was on holiday with my family in the Isle of Man – and what wet and cheerless weather we had! So we had an afternoon at the cinema. 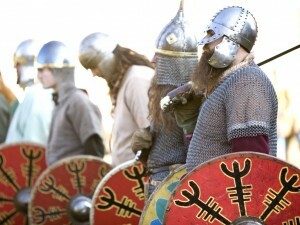 Now, of course, the film is too dated and corny to interest real Viking fans, like me. There are so many wonderful sites around the world that serve as a constant reminder of our past. 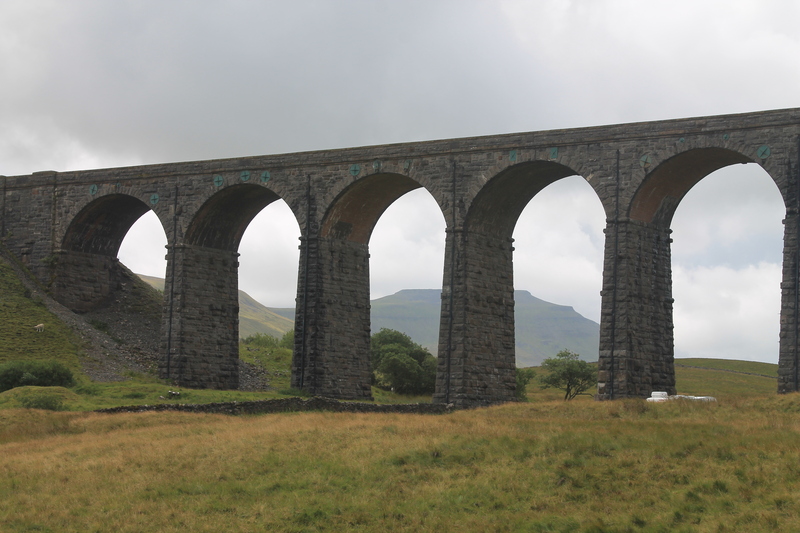 Such sites can also stimulate the imaginations of writers of historical fiction and, in many novels, form the backdrop against which the characters can play out their tales. I suppose I’m lucky to live in a country where every city, town, or village can boast some structure or crumbling ruin that owes its origins to a bygone age. 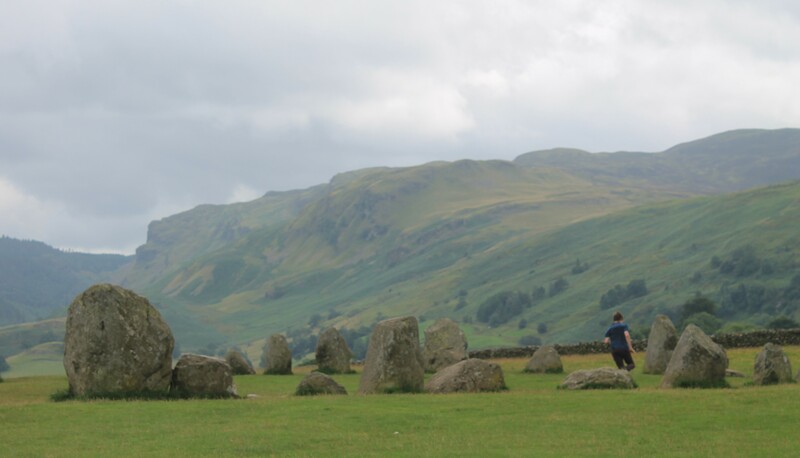 In Britain we have everything from prehistoric stone circles, tumuli and hill forts, to Roman walls, villas and bath-houses and medieval castles and cathedrals. And so it continues throughout the centuries, through Tudor and Stuart times to the period of the great Victorian architects and builders. And side by side with those great structures stand the simpler, quaint old cottages and farmhouses. Writers of historical fiction, or rather, good writers of historical fiction, have the knack of making those bygone times seem like now. They bring the action alive, so that we see, hear, smell, feel or even taste whatever the characters in the story are experiencing. 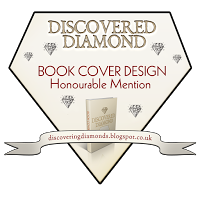 And that is a commendable skill, one that I kept firmly in mind whilst I was writing my own first book, Shadow of the Raven.